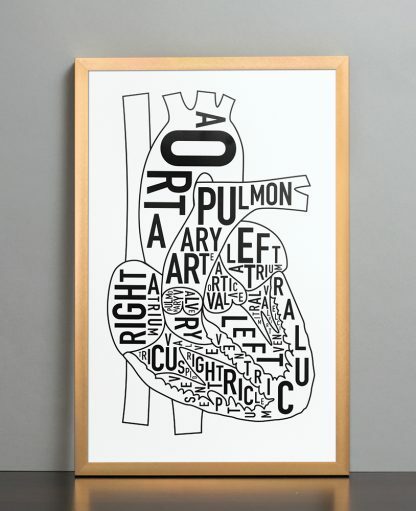 Science + Art = Good Things. 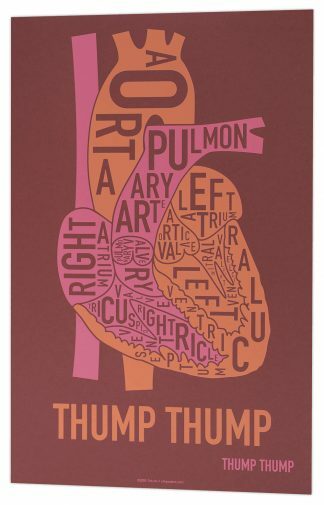 Notice there is not the “Thump Thump” writing at the bottom of this version. 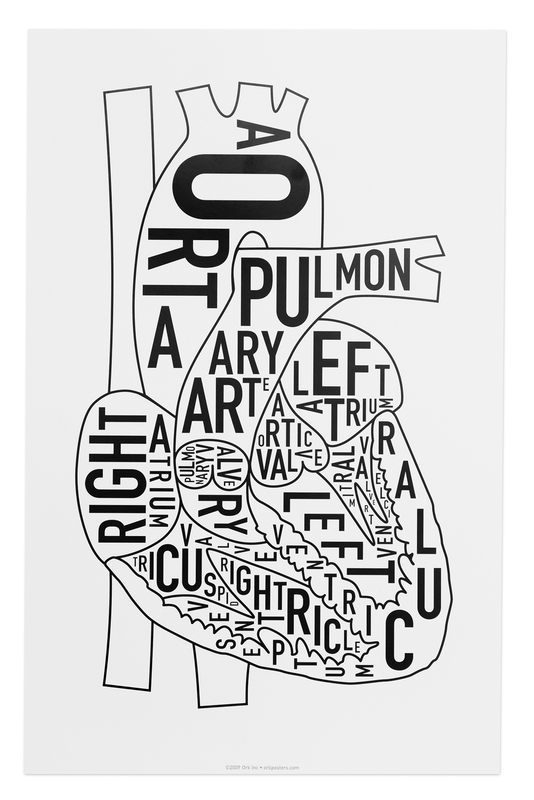 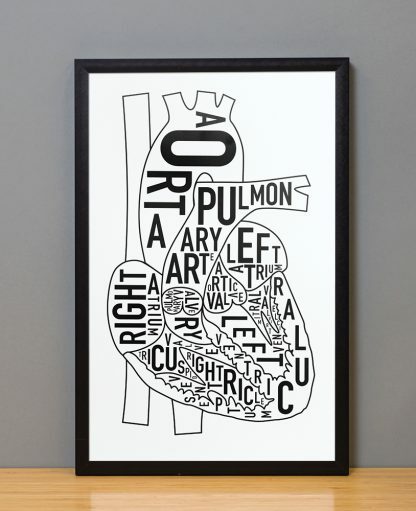 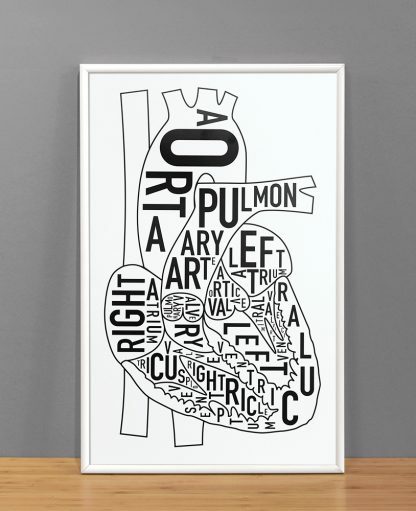 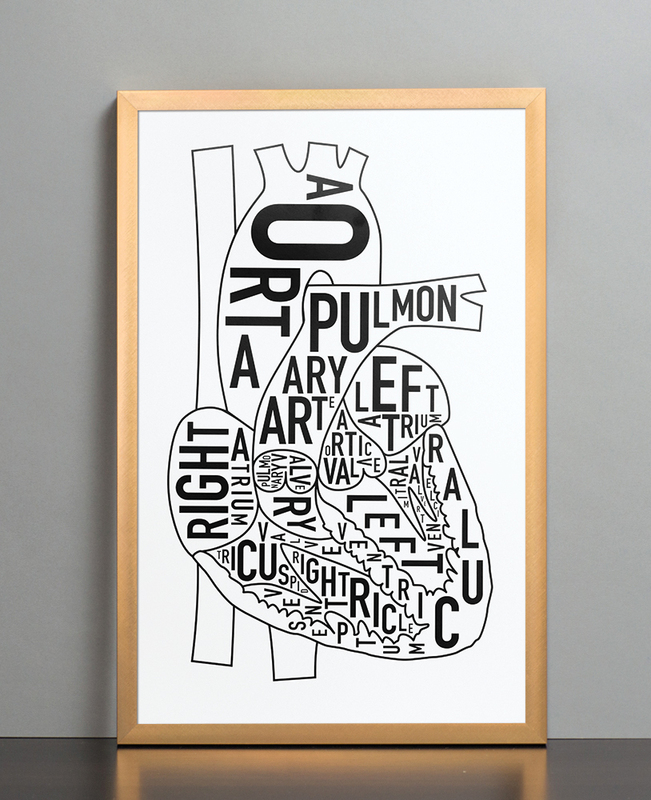 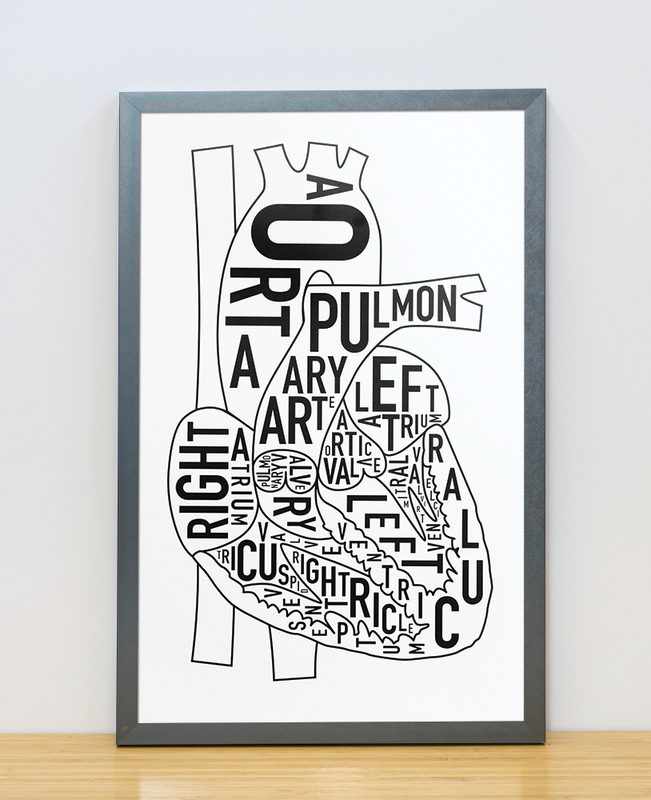 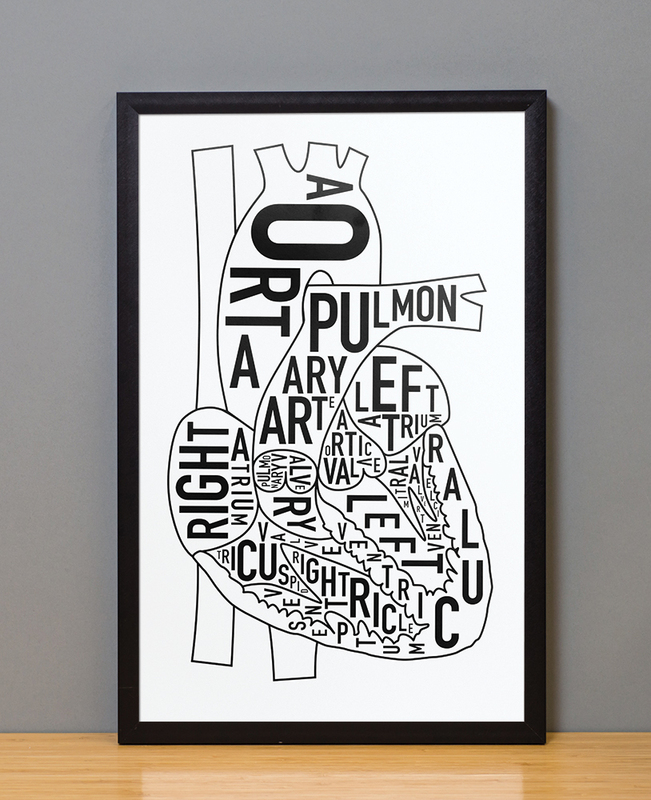 11″ x 17″ typographic diagram of the parts of the heart. 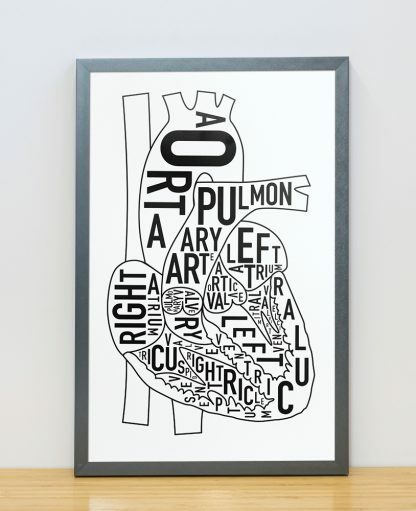 The letters of the name of each area are twisted and turned to fit inside the area. *For decorative purposes only, do not use as a medical reference. 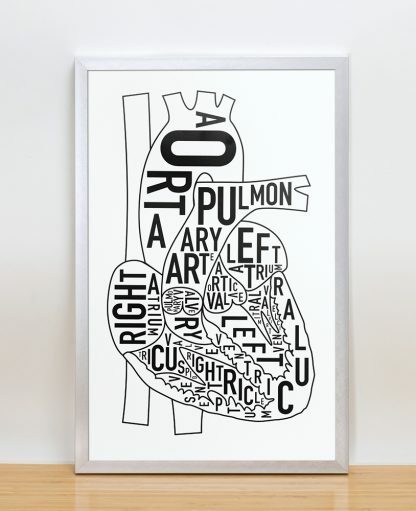 We are not doctors.